Kernicterus is a devastating and fully preventable form of brain injury occurring in jaundiced newborn infants. Kernicterus was virtually "cured" in America until recently. A new generation of health care professionals, unfamiliar with extreme jaundice (Hyperbilirubinemia) and related brain damage (Kernicterus), and an insurance industry cutting costs by implementing "motor births" (requiring mothers and their newborn's to be discharged from hospitals within the first day or two from time of birth), combined to fuel the re-emergence of kernicterus in America in the mid 1990's. Kernicterus is the result of high blood levels of bilirubin (Hyperbilirubinemia). Bilirubin is the substance that causes a newborn's skin and other tissues to become yellow. Bilirubin results from hemolysis (decaying or destructed red blood cells) and is filtered by the liver. It may take up to 4 or more days after birth for a newborn's liver to mature to the point of effectively filtering out bilirubin. Until liver maturity occurs, bilirubin may accumulate to dangerous levels, often in the third and fourth days from birth. Most newborns are jaundiced, to varying degrees. Some require photo-therapy and fluid replacement and maintenance therapy, to lower their jaundice. In extreme cases, a double volume blood exchange transfusion may be required. This is where, in one procedure, an infant's blood is replaced twice, with donor blood. When bilirubin reaches a high level, it crosses into specific areas of the brain, staining and damaging brain tissues. Areas most often affected are those that control and regulate voluntary muscular movement and hearing. This type of injury (bilirubin encephalopathy) is commonly called Kernicterus. Kernicterus is a permanent condition. It varies in clinically observable symptoms. It may cause as little harm as mild changes in muscle tone. Auditory and speech related problems occur in more severe cases. Also occurring in more severe cases is classic kernicterus arching of the back, varying levels of functional paralysis, and, at times, an almost fixed, upward gaze. In the most severe cases, extreme muscular rigidity, with or without tremors, may occur, and a feeding tube may be required or recommended. Unfortunately, most severe cases require life long full time in home care, and medical monitoring and treatment. Jaundice starts at the top of the body, and travels down, as severity increases. Eye whites may turn yellow. Tone of color can start with mild yellowing and in severe cases, an almost burnt orange appearance. Dark yellow or orange urine that crystallizes is another symptom of great concern. Jaundice below the waist and deep color tone is considered a medical emergency situation. Parents of jaundiced newborns should always have their child's blood bilirubin levels checked prior to, and after discharge from the hospital or birthing center (particularly in the first few days of life). Never allow a medical professional to rely on "visual estimation" of serum (blood) bilirubin levels. This can lead to disastrous results. Various studies of risk factors (as those above) and outcomes, combined with specific gestational ages at birth, have resulted in special charts and formulas for assessing jaundice levels and providing treatment recommendations. One such chart is referred to as the Bhutani Nomogram. Also, the American Academy of Pediatricians (AAP), and the Joint Commission (formerly Joint Commission on Accreditation of Healthcare Organizations or JCAHO) have recognized the need to follow jaundiced newborn infants closely. The AAP has issued practice guidelines, and the Joint Commission has issued alerts to hospitals about the risk of Kernicterus. 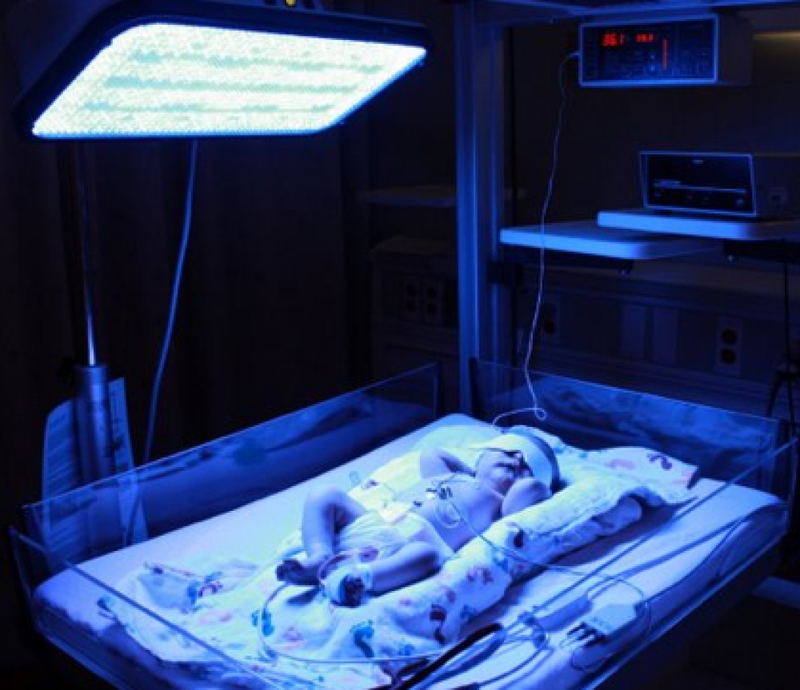 Parents should be cautious as to their ability to recognize increasing jaundice, especially if the parents remain by their newborn's side. They may become unaware of the slow progression of jaundice, as they become gradually accustomed to their newborn's changing appearance. A parent who has been absent several hours or more may immediately, on return, visually detect a difference in the newborn's skin tone and color, while the other parent who remained at the newborn's side, may not. Mr. Riccelli has extensive knowledge and experience related to Kernicterus claims, and the medical negligence which allows it to occur. He has met, retained as his client's expert witnesses, and deposed as defense expert witnesses, most of the recognized, kernicterus related, medical, therapy, rehabilitation, and life care experts in America. He has experience in litigating and settling Kernicterus claims, and in coordinating and obtaining court approval for large, multi-million dollar life care structured settlements, and related special needs trusts and trustees. Mr. Riccelli has the patience, understanding, and compassion necessary to assist, attend to, and provide aggressive, competent, and caring legal representation to those unfortunate children and their families affected by Kernicterus.